Lemon extract derives from the peel, with a less tart flavor than the juice. Lemon extract and lemon juice both add lemon flavor to recipes, but they don't directly substitute for each other. Lemon extract captures the flavor of the whole fruit and contains oil, alcohol and less water than lemon juice. In a pinch, without lemons or lemon juice in the kitchen, check the pantry for lemon extract and use it with some adjustments to the recipe. Lemon extract contains oil of lemon and alcohol, which concentrates the lemon flavor for recipes and for use in scented cleaning or bath products. 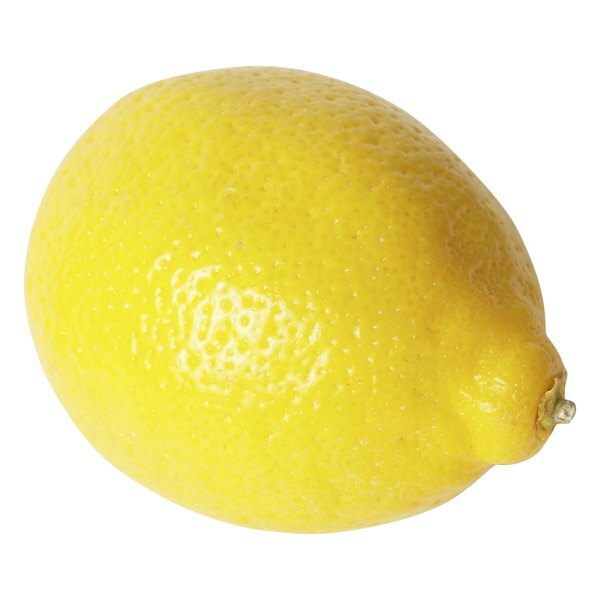 Lemon oil is made by pressing the peel of the lemon into a fine liquefied state. Since most of the flavor of the lemon resides in the peel, this concentrates the flavor for extracts which require only a teaspoon or two to flavor an entire recipe. Since lemon extract is much more concentrated in flavor than lemon juice, use only half as much lemon extract and add back in the rest of the liquid in the form of water. For instance, if a recipe calls for 2 tablespoons of lemon juice, substitute 1 tablespoon of lemon extract and 1 tablespoon of water. This works best for recipes where the lemon flavor accents the main flavor like lemon cheesecake, rather than a recipe where the lemon flavor takes center stage like lemon bars. Because lemon extract captures the flavor of the whole fruit but lemon juice is more acidic and less sweet, lemon extract won't work as a substitute in all recipes. Lemon extract works as a good substitute, in the right ratios, for lemon-flavored baked goods and in lemon-flavored entrees and side dishes. Try marinating lemon chicken using lemon extract and water instead of lemon juice, together with olive oil and seasonings. Use lemon extract instead of lemon juice in lemon-flavored pound cake or shortbread cookies. Lemon extract adds tart sweetness to green beans or broccoli mixed with rice for a side dish as well. Lemon extract doesn't taste exactly the same as lemon juice so it'll change the taste of dishes where it substitutes for the juice. Don't use lemon extract as a substitute for lemon juice where the tartness or acidity plays a part. For instance, in baked goods that use baking soda as the leavening agent, lemon extract won't provide the necessary acid that lemon juice does. In that case, add some sour cream or vinegar to the recipe as well to create the acidity necessary to activate the baking soda. Never use lemon extract as a substitute for lemon juice in a beverage like lemonade or a lemon daiquiri because the sweetness and tartness will taste "off" and won't work properly.